Transponder keys are solidly constructed and built to last, but it’s still possible to damage them which can prevent a motorist from gaining access to their vehicle. The transponder key disarms the vehicle immobiliser so that the car key can start the engine, however, if the transponder key is damaged, lost, stolen or has a flat battery, it’s unable to perform this essential function, preventing the motorist from opening the door to their car. All cars manufactured after 1995 feature a transponder key, with each key programmed to only start a specific vehicle. That’s why your transponder key will only work on your car and not anyone else’s. At Action Lock Service in Perth, our experienced mobile locksmiths can often repair damaged responder keys at your location while you wait. However, we stock transponder keys for all vehicle makes and models, enabling our locksmiths to provide you with a replacement key once you’ve given us the vehicle’s VIN number and provided proof of identity and vehicle ownership. If you’re in the Perth Metropolitan Area and you’ve lost or damaged your transponder key, don’t worry, we’re here to help. How Do Transponder Keys Work? 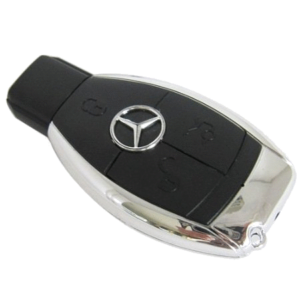 Part of a vehicle’s anti-theft system, transponder keys contain a small microchip inside the head of the key which sends and receives signals to/from an antenna located in the ignition cylinder. A protective code (often an algorithm that’s known as a rolling encrypted code) is processed to produce a response that’s unique to the vehicle, enabling just the one transponder key to gain access. If the antenna doesn’t receive the correct response from the transponder key to pass on to the car’s computer, it won’t allow the vehicle to operate. With the required information, our mobile locksmiths can supply you with a new transponder key by reprogramming the replacement with the unique protective code that enables the correct signals to be sent from the transponder to the antenna in the ignition cylinder of your car. Whether you’ve lost your transponder key or it’s damaged beyond repair, we’ll get you back on the road in no time at all.